Do you stay late a lot at work? Do you do your best but it just never seems like the job is even half done? Are you frustrated with the amount of things on your plate, things that it seems like no one else can do? You might like to read Part 1: Do you have too much to do? 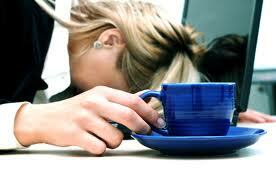 and Part 2: How to take back your power at work, about the laws of motivation. When you’re feeling demotivated in fundraising, you may have a hard time with boundaries. What words can you use to enforce your boundaries at work? Chances are, if you’re in fundraising, you’re a woman. And a lot of times, growing up female means your boundaries are harder to create, because people walk over them more, or because they don’t like to hear when you set boundaries, or because you are encouraged to be a nurturer and a giver because of your gender. If we didn’t grow up in a household with good boundaries, they can be hard to set as an adult. But good boundaries are exactly what defines an adult. So if you want to grow up and be an adult at your job, then check out these simple phrases that can help you start to have good boundaries. 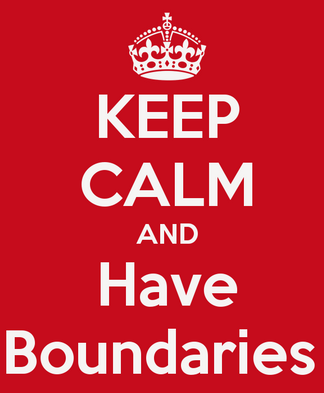 How can you get better with your boundaries in your nonprofit job? Use these words from Dr. Henry Cloud’s book, The One Life Solution. Let’s break down what each of these words can mean for you in setting good boundaries in your career. I think… When you say “I think” you’re differentiating yourself from others. A lot of times in my family, people are expected to be nice, smile, and nod without giving voice to their own thoughts. You’re supposed to go along with “the group” even if that’s not what you want to do. As Dr. Cloud says, “Unity based on compliance, rather than acceptance of difference, is not unity at all.” And of course we learn this first in public school, if we don’t learn it at home. Going against this ingrained model to go along with the group is difficult, but necessary for you to perform better at work. That means if your boss says, “Get me $400,000 in grants in 3 months” and you’ve never gotten grants before, you say, “I think that might not work. Here’s why.” Speak your thoughts in situations, whether or not it matters. Moving forward and defining yourself in the world requires you to let the world know what you think. So saying “I think…” is a good place to start. I won’t… When you find it difficult to say No, or I won’t, you are being drawn into many destructive patterns, including overcommitting to work and volunteer projects. This doesn’t sound that hard to do, but it really is. Especially in fundraising if you have three or four people’s jobs and this is all in your official job description. And it’s hard to push back. When I told a former boss, look, you’ve given me 10 things to do, I can’t do them all well, I can do one or two things well, but if you ask me to do 10 things at once I will do them all badly! And he said, “I don’t care. Just get them done.” At this point, I should have said, No, I won’t do a bad job on my tasks. I will do these three things. And I will do them well. And then I will go home. Of course there are so few jobs, and those of us that have them are trying to hang on for dear life, so you may not feel like you can push back like this. But you must. Because you teach people how to treat you. I want…If you have a hard time saying these words, you are getting leftovers in many situations and you are probably not getting the performance out of people that you want. So how can you take back your power with these two little words? You need to be able to ask for what you need clearly and without ambiguity. If people still won’t give it to you, you’ve got to find another way to get it. Let’s say there’s no budget set for your fundraising department. You need to say, “I want a fundraising budget.” What about a budget for mailing? “I want a mailing budget.” How about for donor stewardship? “I want a stewardship budget for pens, thank you notes, and a better database so we can track our interactions with donors.” What about something harder, like a staff person? You say, “I want an admin person to help me enter donations and track our gala attendees and auction items.” Maybe they’ll say, “Well, there’s no money in the budget for another staff person!” You can say, “How about a part time temp for the month leading up to the event?” So you’re having the conversation, and what you want will at least be on the table. I will…Early in life, you might have learned that you could say you would do something just to get someone off your back, or to make someone happy, or to avoid conflict, but underneath you were seething. This could have gone to passive-aggressive behavior. You might have said in your head, “I will say I’m going to do this, but I really won’t, because I don’t want to, and I resent the fact that you asked me.” People whose will is not free from this kind of conflict will find it hard to go after a goal with vigor and persistence. You might not follow through with things or you might find it hard to complete things. So, that aggressive fundraising goal? Maybe it wasn’t a goal you made. Maybe you just said yes to get the job, or because you were afraid of being fired. Maybe you were on autopilot. But bottom line? Your desire and your words were not in alignment. So make the things you say you will do the things you actually WANT to do. You’ve got to tune into whatever that is. Yes and No. When you say yes and no, it can determine how much people are able to control you. It can protect your energy. It can protect you from self destructive behavior. It can determine what others can do to you. It can determine what you allow others to do around you or in your organization. For example, last Christmas my brother invited me over for Christmas dinner. And then his apartment was a mess and he asked me start cooking for him. I don’t know about you but when someone invites you over to eat, you don’t expect to have to do the cooking for them, do you? Anyway I did it because I was hungry and wanted to eat, but first I said no. Then he started pouting so I figured it’s Christmas, let’s not have a fight and I started peeling potatoes. Then while the food was in the oven, my brother and one of his friends lit up a joint, right in the kitchen. I was completely appalled. How dare he do drugs in front of me? I went over to him and said, “I don’t want you to smoke up in here.” And he stopped smoking. It made the rest of the evening awkward but I didn’t care. As soon as I was done eating I got out of there. Afterwards I felt glad that I told him exactly what I wanted and he did what I wanted. How does this work at your nonprofit? Your boss asks you to stay late to get something done. You have planned something for right after work this evening. Can you say, “No, I need to leave”? I don’t know. Sometimes in fundraising we fall into the job, and think we have to know it all. When we talk with mentors, we tend to make pronouncements instead of asking questions. When someone uses unfamiliar terms around us, we tend to get quiet instead of asking, “What does that mean?” And this is to our detriment, believe me. You need to interrupt someone when they say something you don’t understand and say, “What do you mean by that?” or “I don’t know what you’re talking about. Can you please explain what a remit envelope is?” Several times in the phonecalls I’ve had with people over the last few weeks, I’ve had to ask, “Do you know where to look for grants?” “Do you know what a remit envelope is?” and each time they have said No, tell me. But imagine if I hadn’t asked! They would have been so ashamed to look like they didn’t know something that we could have gone through the whole conversation with them not having a clue about what I was saying! We all started out in the same boat, being totally clueless about fundraising, so please, next time someone says something you don’t understand, whether it’s a fundraising person, a board member or a program person, stop and ask them to explain. I was wrong. When you don’t admit you are wrong, you have a crack in the foundation of your life. You have seen people who cannot own their issues. They make the same mistakes over and over again. They stay stuck and those things never get better. Not admitting that the problem is your problem externalizes the problem, and makes you powerless. Now you’re a victim, instead of an actor in this situation. If you CAN admit that you are wrong, what happens? First, it is energizing. It gives you a new path to go on and solutions to try. Second, you get better when you own something and you can become stronger and more competent. Power, real power, the kind of competence and self control that you were designed to have, goes up. You will have more strength, more security, more reality, and fewer future threats. Third, admitting your failures gives hope, trust and good feelings to the other side. They appreciate you for it. When people do not own their mistakes, the other side of the relationship gives up hope. They unplug and adopt a negative posture because they know no matter what problem there is, it will not be solved. I had a boss like this once. He would never admit his mistakes and tried to blame them on others. It made the office a much more negative place, and nobody wanted to be around him. When you…This is a hard one! This is when someone else is doing something you don’t like. And you have to tell them. You can also say, “I don’t like it when you…” for example, “When you don’t sign those thank you notes and they sit on your desk all weekend, our donors lose trust in us.” or “When you don’t give me a budget for my department, I get afraid to do anything that will help us keep our donors.” or “When you don’t enter donations on the day we receive them, I don’t get to print the thank you notes until much later, and that impacts our donors willingness to give again.” or “When you don’t keep your board agreement to fundraise, it demotivates me as an executive director.” See if you can try this in the next week. This also works in your personal life too. And there’s a big risk, what if the person gets angry? What if they reject me? So, what if they do? You need to take this problem out of your yard and put it back in their yard, where it belongs. IF you liked some of these ideas, check out this previous post on the laws of boundaries, also from this book by Dr. Henry Cloud. And if you’re really interested in moving on up in your nonprofit career, use the form on the side to email me and let’s talk!